Melorheostosis is a progressive disorder characterized by thickening excessive bone formation inside the medullary canal of the bone. It is extremely rare, occurring in 1 in 1,000,000 births. It is often associated with joint contractures (permanent shortening of a muscle or tendon) affecting the upper or lower limbs. Foot and knee deformities are the most commonly affected joints. Melorheostosis affects not only the bone, but the surrounding soft tissues as well, including the skin, fascia, muscles, tendons, and ligaments. It is the deformity of the soft tissues that significantly contribute to the functional impairment. Patients with melorheostosis have severe functional limitations, pain, soft tissue contractures, limb length discrepancy, and deformity. The appearance of melorheostosis on x-rays has been likened to dripping candle wax. The cause of melorheostosis has been linked to the LEMD3 gene, which regulates bone formation. However, the vast majority of affected patients do not have the LEMD3 mutation in their reproductive cells (sperm or egg). The theory is that melorheostosis is caused by a somatic mutation of the LEMD3 gene only in the affected tissues. 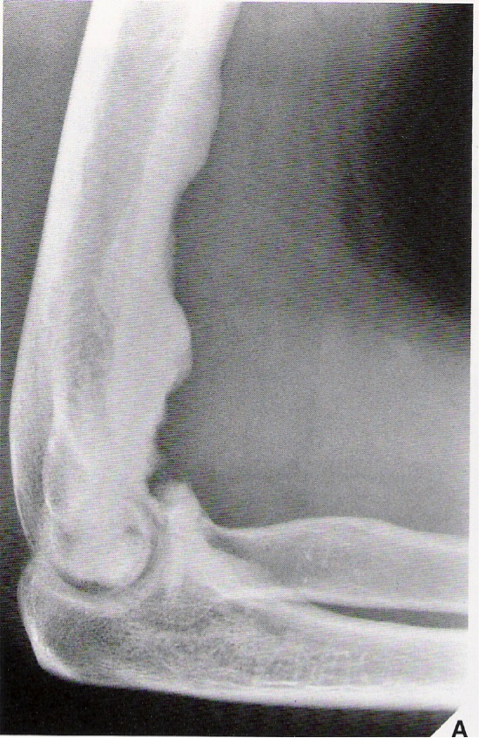 The condition tends to affect a single bone with only one limb involved. There have been reported cases of multiple limb involvement, but they are quite rare. The age of diagnosis depends on a variety of factors. X-rays are the most reliable source of diagnosis for adult patients, as the x-ray will reveal the characteristic “dripping wax” appearance due to thickening of the cortex of the affected bone. This typical appearance only occurs after closure of the growth plate, and thus is an unreliable diagnosis tool for children. Younger patients will usually present with deformity or contracture and rarely with complaints of pain. In children, characteristic limb length discrepancies, joint contractures, angular bone deformities, and thickening of the skin may be used to diagnosis melorheostosis. X-rays in children may show streaking on the inside of the affected bone. Adults will typically present with pain and functional difficulties. They usually report no pain during childhood but seek treatment as pain appears and functional ability deteriorates. Diagnosis for adults is fairly straightforward: x-rays will reveal the characteristic “dripping wax” bone appearance. Treatment can take on a variety of forms, including nonoperative and operative techniques. At the Paley Institute, we treat melorheostosis with gradual distraction of the affected bone. This slowly corrects the joint contractures and can also realign the bones. We can also perform limb lengthening to correct any limb length discrepancies.